We've passed the half-way mark on this years barbel challenge, 6lb 3oz above and 7lb 0oz below (155lb). Two fish in two casts from exactly the same spot, good old SB4! 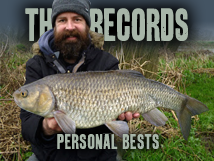 Soon the fishing is going to get even tougher, from the past two seasons we know it's very difficult to tempt them in the colder months. 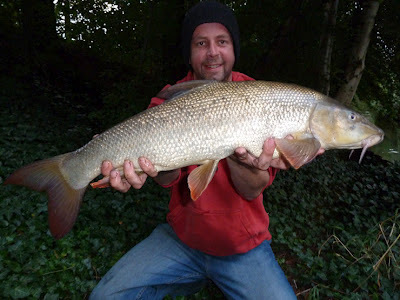 October to February was virtually devoid of barbel last year - and when pike are on the menu the barbel fishing tends to get a bit neglected. I'd be happy if we could get over the 200lb mark by the end of September, leaving us 50lb over winter and 50lb in March. 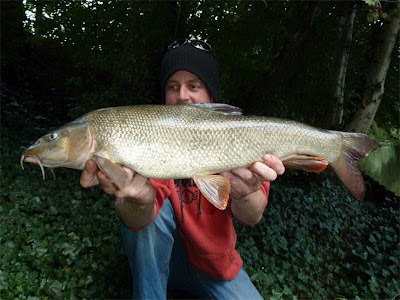 We do have a few plans to tempt a winter barbel - a few more bait experiments etc... Fingers crossed we'll find something they like! Are you going to do some early season picking this year? I meant PIKING. Damn auto-correct!! Ah, piking... Yeah, starting next month, which is next week. New line on multipliers, replaced a couple of hooks on the lures - and it's only technically a month early!